A number of prosaic texts of the 1980s ushered in the fall of the so-called real socialism before its demise in November 1989. Instances of a more radical disruption of schematism can be seen mostly from the publication in 1982 of Rudolf Sloboda’s novel Rozum (Reason, 1982), which brought forward the discussion of authenticity or the truthfulness of the art work and roused the anger of a section of official critics with its unconcealed frankness of statement. In this novel, “…perhaps for the first time ever, the aspect of our present stigmatisation appeared, of the simulation of life in past decades leading to brutalisation and the decline of elementary humanity in basic social relations’ (Zajac-Jenčíková, 1989, p 64). In the context of the literature of the 1980s we cannot ignore the prose works by Vilikovský, Mitana, Dušek, Ballek, Johanides or Rakús which, through playful experimenting, open up the theme of Central European space and portray the tragic perceptions of characters, polemically opposed the reappearance of the proclaimed poetics of socialist realism from the 1970s. Martin Bútora, a representative of the middle-aged generation, also made a delayed debut. 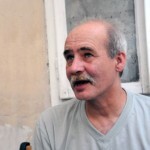 In his collection of short stories Ľahkým perom (With a Light Pen, 1987) he created tragicomic, disenchanted and ironically portrayed characters of intellectuals. The novella Prvá veta spánku (The First Sentence of Sleep, 1983) by Pavel Vilikovský foretold the revival of postmodernism with the subversion of the genre of crime fiction, i.e. blending the techniques of crime fiction and artistic literature. The detective plot was also exploited in Dušan Mitana’s novel Koniec hry (The End of Game, 1984). Peter Juščák in his debut Komu ujde vlak (Who Will Miss the Train, 1986) demythologises the picture of the labour hero in the ‘young’ prose of the 1980s; an implicit criticism of atheism is found in the debut of Edmund Hlatký (História vecí, The History of Things, 1988). In his ensuing prose works Hlatký develops the character of the ‘killed man’ from Sloboda’s novel Rozum (Reason). 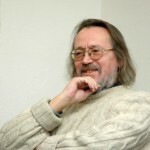 The prose works of Peter Pišťanek, Dušan Taragel and Igor Otčenáš, published in magazines, also played a not insignificant role in the ironic erosion of the socialist realism-inspired literary model in the late 1980s. The debut collection of short stories by Ján Tužinský, Bičovanie koní (Whipping of Horses, 1983) gives a more traditional impression in the context of the 1980s. Štefan Moravčík enhances lyrical tendencies in epic literature in his debut Sedláci (Farmers, 1988).